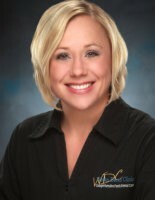 Jessica joined the Wicks Dental Clinic team in 2009. She is a warm, compassionate and caring hygienist who brings a high level of intelligence and commitment to our patients overall health and hygiene. Jessica graduated from the University of Wyoming and Sheridan College with a Bachelor of Applied Science in Dental Hygiene. Both Jessica and her husband are Montana natives and enjoy all things outdoors including hiking, fishing, and boating. They have one small child who is also learning to love everything this state has to offer. She also has a passion for travel, which she indulges in as often as possible. Melia has been a part of the Wicks Dental Clinic team since 2016. She is excited to meet all of our great patients and build relationships with them to help improve and maintain their oral health. 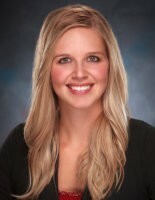 Melia graduated from the University of Wyoming and Sheridan College with an Applied Science degree in Dental Hygiene. Melia was born and raised in the small town of Roberts, MT. In her spare time, she enjoys spending time with her friends and siblings and helping out on the family ranch. Laurie handles all the billing and financial aspects of the practice as well as assisting patients with their treatment needs. With her extensive knowledge of dental financing and insurance she is a valuable asset to patients who have questions regarding both their treatment plans and their insurance coverage. 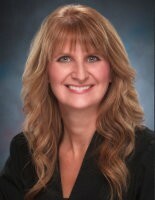 Laurie is active in the Billings dental community and is the Vice President of the local Yellowstone Valley Chapter of AADOM. When not in the office, Laurie enjoys spending time with her two grown children and husband and her beautiful granddaughter. She enjoys gardening and being outside whenever possible. She is a pug fanatic and keeps busy with her grumble of pugs. 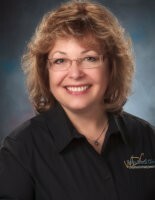 Janie joined the Wicks Dental Clinic team in 2004 and enjoys working beside Dr. Jones assisting with patients of all ages. She takes pride in addressing and taking care of patients’ individual needs, helping her patients to feel at ease and putting a brighter smile on their faces. Janie, a Billings native, is married and has 2 grown children and 1 beautiful granddaughter who is the light of her life. She enjoys spending time with her family and friends. Brittney Joined Wicks Dental Clinic in March of 2015 and is loving it!! 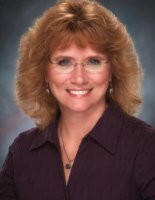 She attended the Billings Academy of Dental Assisting and has been dental assisting since 2007. 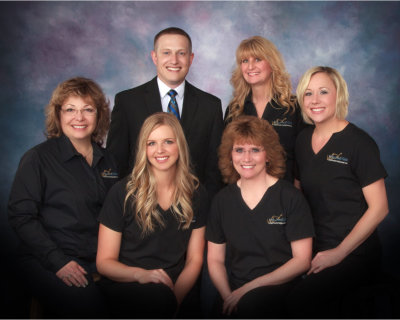 She takes pride in providing excellent dental care and making our patients feel comfortable during their visit. Brittney has 2 young boys who are the center of her world and keep her extremely busy. She was born and raised in Montana and loves all the outdoor activities. Kimberly has been a happy patient at Wicks Dental Clinic for years, and enthusiastically joined our team in the fall of 2014. She always strives to do her best with a smile. She has over 18 years in the medical industry. Hers is the friendly smile that greets you as you come through the door. A Montana transplant of over 35 years, Kimberly loves living in Billings. She and her husband have 5 married children and 22 grandchildren. She enjoys reading, sewing, crafts, and spending time with her family –especially hugging those grandkids!